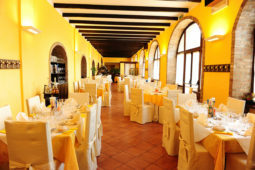 Restaurant Il Carrettino offers a simple and traditional cuisine, paying attention to the new gastronomic trends. We use genuine and safe ingredients, mostly coming from our Farm. A special mention is due to beef and buffalo meat (from our breeding farm), fresh pasta (tagliolini, tagliatelle, pappardelle), gnocchi, agnolotti (stuffed pasta) and desserts, that are, of course, all homemade. In the heart of the dining room there is a brazier for our grilled meat and vegetables. When the season comes, we propose the traditional Piedmontese “carrello dei bolliti” (diffrent pieces of boiled meat). Next to Restaurant Il Carrettino there is our farm shop where you can buy our products, like potatoes, vegetables and strawberries. But also cold cuts and salami produced by our farm shop: salame cotto (cooked salami), salame crudo di bufalo (raw buffalo salami), headcheese or tonguecheese, bresaola, buffalo or Piedmontese Fassone ham, little salami and cacciatorini. – menu à la carte: you can choose among fish and meat dishes, that change daily. 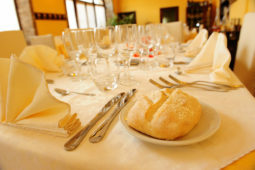 We are at your disposal to satisfy every request or need you have for the menu (intolerances, allergies, vegetarians..). – on Saturdays and Sundays we propose also a tasting menu, so that you have the possibility to discover the specialities of our territory: appetizers, two different first courses, a main course and the dessert trolley. 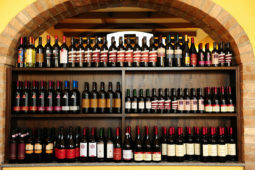 Everything served with the best local wines.